The Terminix Orlando Branch is staffed by service professionals who know local pest problems inside and out. We live in the area and work from our branch on Sand Lake Rd in Orlando . We understand the threat of cockroaches, ants, termites, bed bugs, rodents and more in the Orlando area. And we’re backed by our nationwide network of expertise. The Terminix Orlando branch serves Orlando and it’s surrounding areas. We protect homes and businesses, offering residential and commercial services to customers seeking effective termite and pest control. Best of all, we offer guaranteed solutions, including a money-back guarantee for pest control1 and the strongest residential termite guarantee in the business for qualifying properties. Nationally, termites do billions of dollars in damage each year. That’s why so many homeowners and businesses in Orlando rely on Terminix, the first pest control company to ever obtain a termite patent. For more than 85 years, our skilled technicians have used the latest technologies to stop termites cold and provide reliable protection from future invasions. 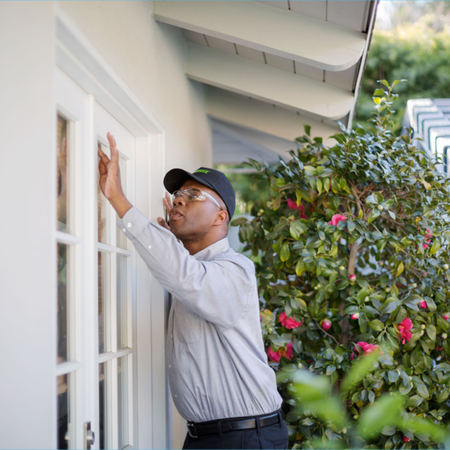 And for qualified homes, we offer the Ultimate Protection® Guarantee, the strongest guarantee in the business. If termites come back and do further damage to your home, we will get rid of them and pay for any new damage repairs.2 Schedule your FREE Termite Inspection today! Bed bugs are back, and it seems they’re everywhere — even in Orlando. But while a bed bug infestation may seem unstoppable, we’re fully equipped at the Orlando branch to take out these intruders. We’ll create a customized plan to put bed bugs and their eggs down for good. Call today or visit here: to schedule a FREE Bed Bug Inspection.